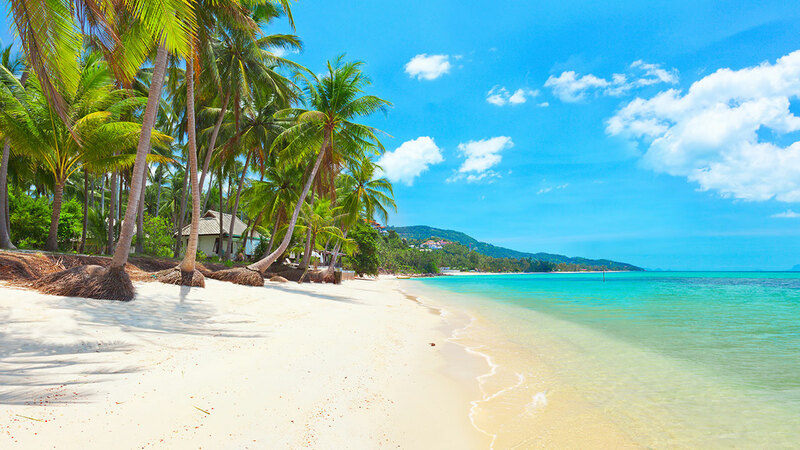 Koh Samui is an " Eastern dream " and the heart of a large archipelago of over 80 coral studded, sand and sun-drenched islands in the southern Gulf of Thailand. Feel the friendly, seafaring tradition of a people that moved far away from their original home in southern China. Samui is also called the " Coconut Island " - coconut palms blanket the island from the mountains to the dazzling beaches falling to the sea all around the island. This gives Samui a languid, relaxed feel under gentle trade winds. The nearby Ang Thong Archipelago of hidden lagoons and white sand beaches provides a postcard-perfect opportunity to enjoy Gulf islands at their best. 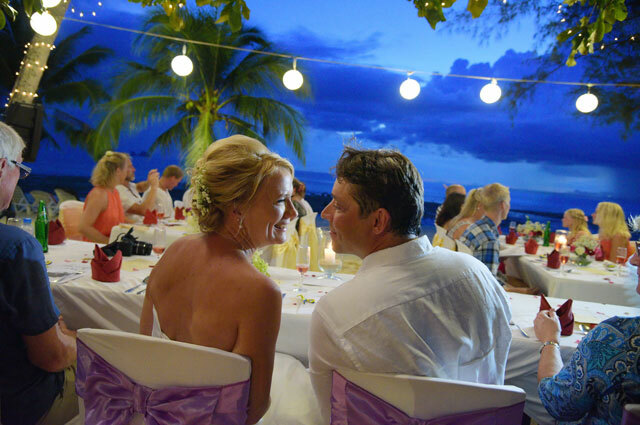 The ideal setting to realize the dream of your own " beach garden" island sunset wedding and tropical honeymoon with Thailand’s leading specialists in romantic beach weddings. 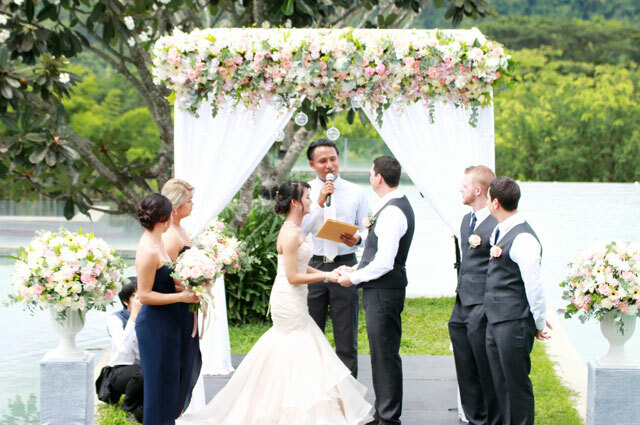 Let's us arrange you full details of a wedding so special that you can telling your grandchildren about it on the day of your Koh Samui Wedding Packages. If you are planning to get married, or renew your vows, let our team of experienced professionals, plan and arrange your wedding with Thailand’s leading specialists in romantic ceremonies, we guarantee you the most memorable experience for both you and your love ones. Buddhist Blessing Ceremony : Temple & Beach in Koh Samui will be your Blessing Ceremony located for your blessing day to touch the target of good luck good love and good life after participate in this Blessing Ceremony by Monk. 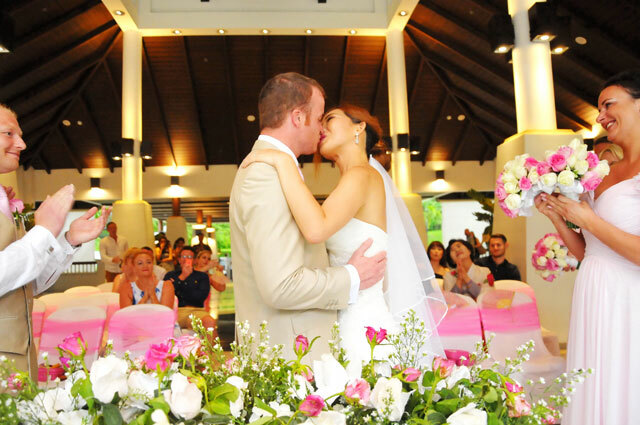 Browse our Koh Samui Wedding Packages Showcase - Married Couple at Koh Samui, Thailand.